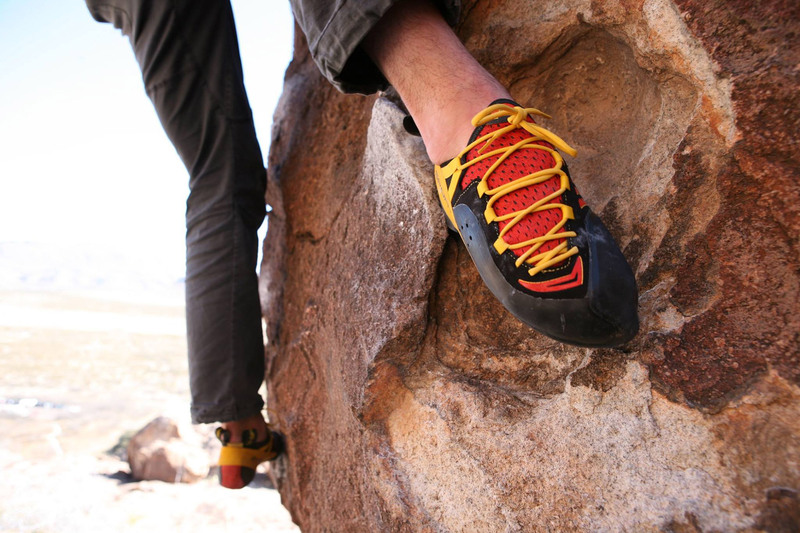 The climbing gym is a magical place, and most outdoor sports don’t have an indoor equivalent. If they do, it doesn’t offer nearly the same level of enjoyment as the real thing (ahem, running and biking). When it comes to climbing, however, even though we will always prefer real rock, the rock gym never feels like less of a compromise. A few things that frequently occur here can make it a less-than-great experience, though. Having a little etiquette will ensure your sessions are fun for you and everyone around. 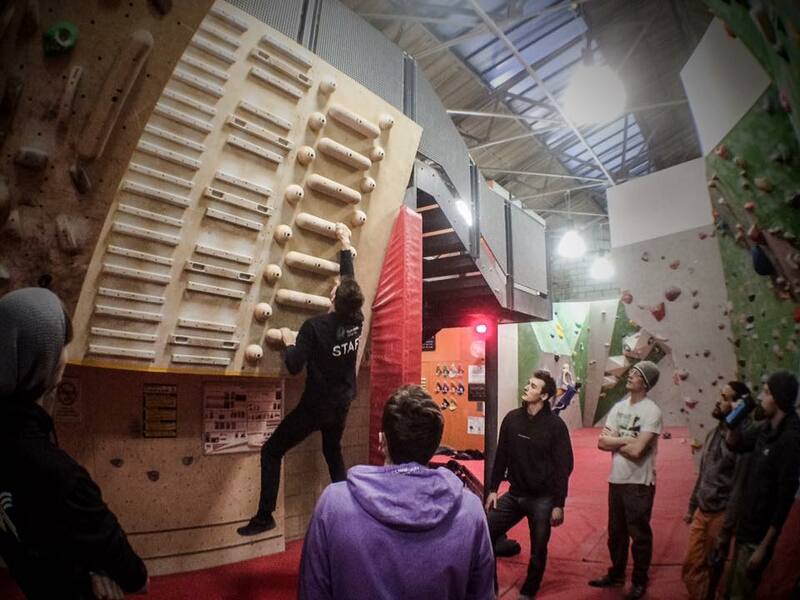 So, what are the dos and don’ts of climbing indoors? DO: Be supportive of other climbers! This is called “spraying beta,” and nobody likes it. Even if you’ve watched a climber flail on the same section of a route or boulder problem for the last 20 minutes—and you know exactly what they need to do to move past it—unless they ask for your help, keep your mouth shut. DO: Jump on hard-for-you routes! A regular gym is where people can try to get better at running or spinning, or make gains in the weight room. But, progress never happens if you stick to the same routine. 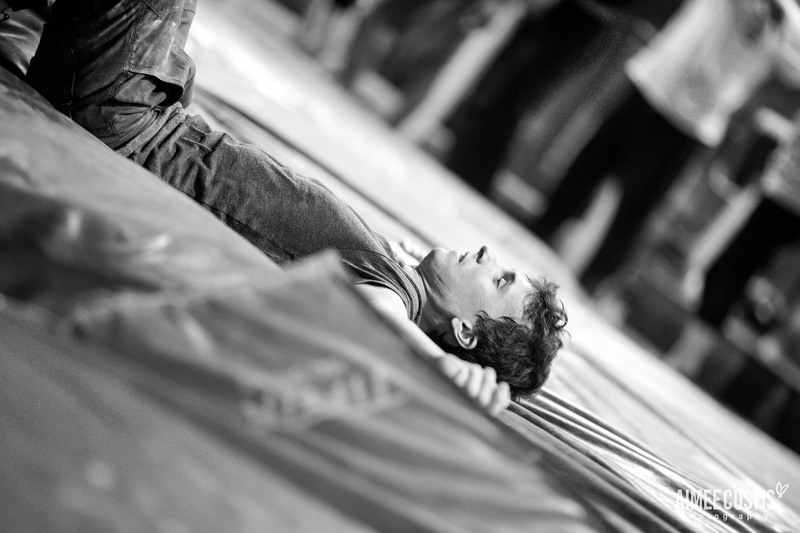 Similarly, a rock gym is where climbers can go to fine-tune their technique and build strength for scaling harder routes. And, similarly, it will never happen if you climb the same grades each time. Unless no one else is there, never take over a particular route or section of the bouldering wall as you try to piece the moves together. In general, repeatedly falling off and jumping back on is a good way to build character. However, doing this without allowing other people to give it a shot earns you a bad reputation. DO: Look around, mingle, and be social! 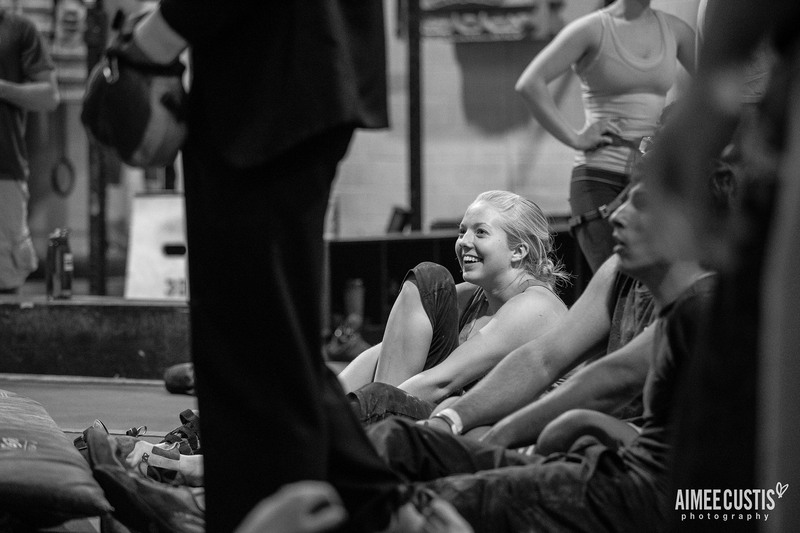 Nevertheless, people are still primarily at the rock gym to get in a good workout. So, avoid getting so involved in conversation that you fail to notice you’ve parked yourself right in front of a climb someone else is waiting patiently to jump on. 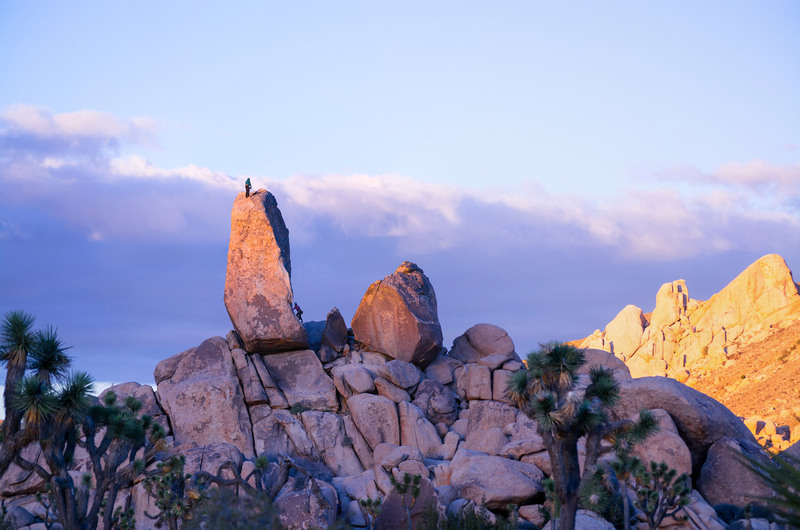 When you’re bouldering, keep in mind that the crash pads are there to break a fall—not offer you and your friends a cushy place to sit and debate which bar you should head to when you’re done. And, if you’re walking and talking, be sure to stay aware of your surroundings. Otherwise, you’ll end up walking underneath people who are climbing. DO: Bring your kids to the gym! The next generation has to start somewhere, and bringing your little ones is as good a place as any. 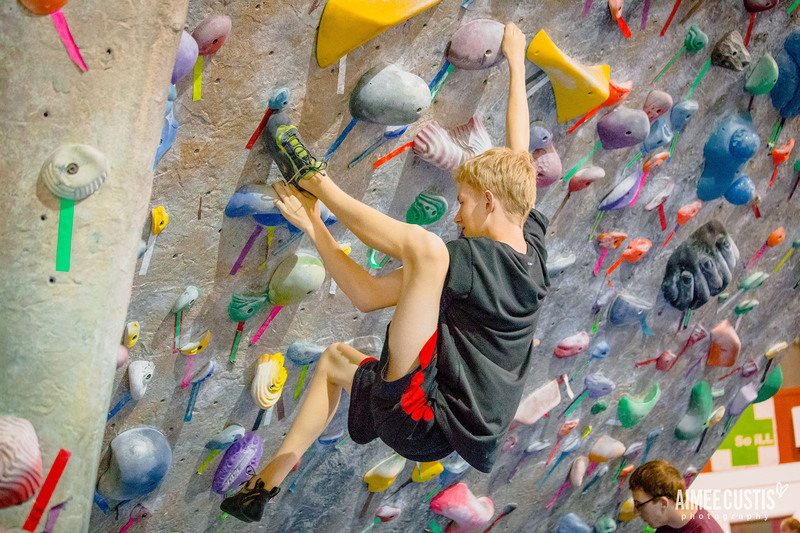 The gym allows you to show your kids the ropes (overly obvious pun intended) in a relatively controlled environment, without the distractions or potential dangers presented by climbing outdoors. Having them at the gym also keeps things entertaining for the rest of us. There’s nothing I love more than watching a 7-year-old make it farther on a new boulder problem than my husband can on their first try. There’s nothing worse than a kid running around while you’re belaying or underneath while you’re bouldering. If you’re going to let your kids tag along, they should know proper gym etiquette, too! When you teach them how to tie in, also explain why it’s important to give other belayers some distance and not run around, behind, or in front of them. As they get more comfortable falling or jumping off a boulder problem, make sure they understand that adults also fall and jump. As such, being too close—either underneath or on another problem that crosses paths—is dangerous for both parties. 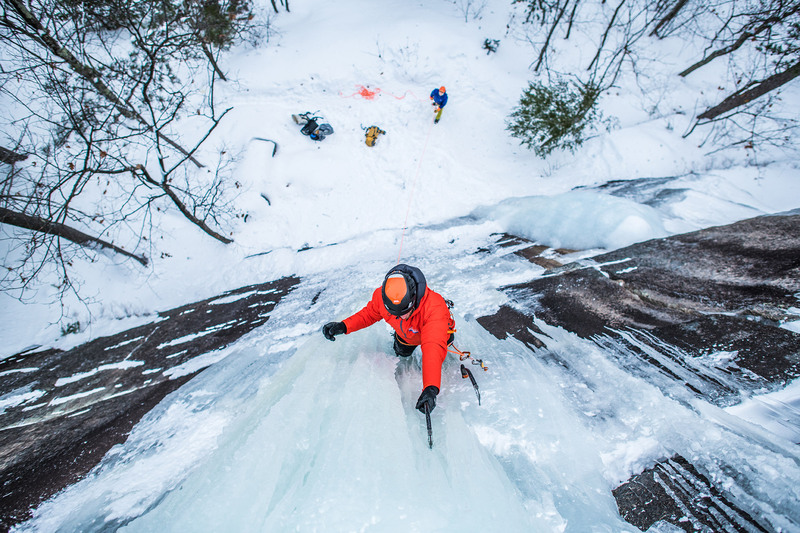 The best part of climbing, whether indoors or out, is that it’s fun. On-sighting a new route is always exciting. 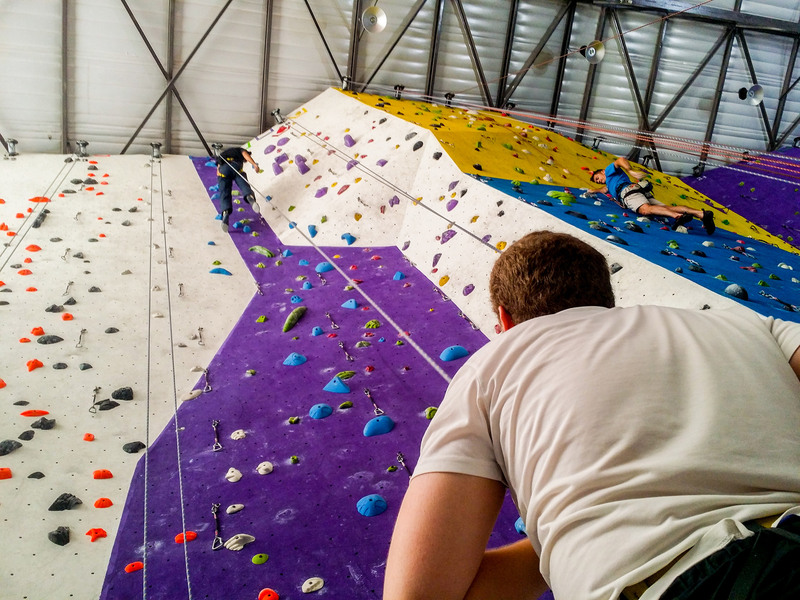 As well, topping out a gym’s bouldering wall can sometimes be more satisfying than topping out an actual boulder because you know there’s a safe, easy way back down. And, climbing with friends is almost never not a good time. Unnecessary screaming, yelling, or grunting. Making noises while you’re climbing happens. 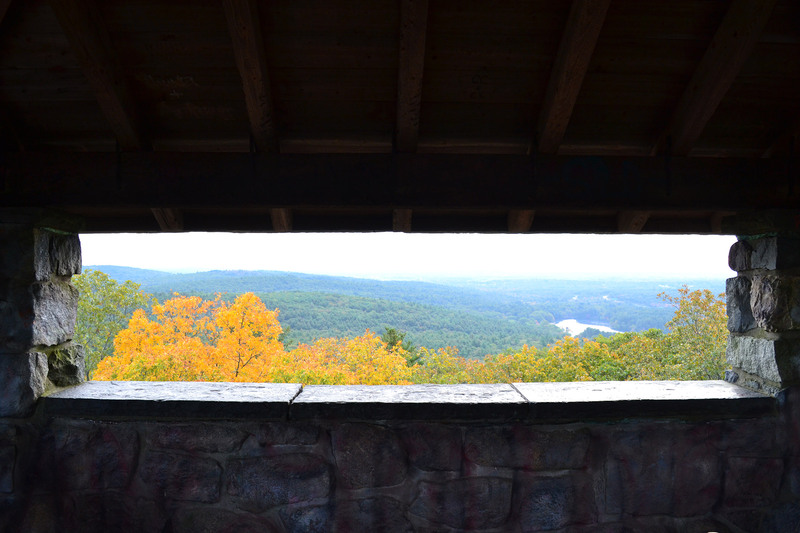 When you’re outdoors, the open space makes it more tolerable for those around you. At the gym, however, the confined space turns even the least-offensive grunt into the noise of someone who just popped a shoulder out of place or broke an ankle. Try to keep your noises to a minimum. Bouldering with a harness on. There may be nothing dangerous about this, and it probably won’t affect your own enjoyment. However, it does make you look foolish, and it’s embarrassing for your friends. 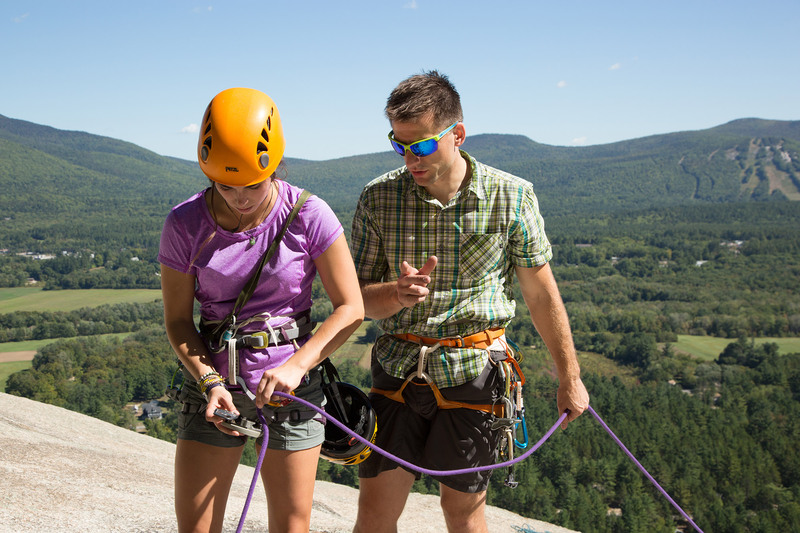 Take your harness off when you’re done with ropes. Dressing inappropriately. Guys, most rock gyms are climate-controlled places, which means there’s almost never a need to take off your shirt. Ladies, booty shorts with a harness is neither attractive nor comfortable. Keep your rock gym wardrobe simple: a T-shirt or tank top with climbing shorts or leggings. And, unless you’re renting shoes from the gym or have a medical reason to keep them on, take off your socks! Throwing a wobbler when you don’t send. This is especially common amongst boulderers, but it happens on the ropes, too. Either way, it’s not a good look on anybody. Remember that you’re there to get better at the sport, and that you have to fail occasionally in order to do it. Nobody wants to listen to you curse or watch you throw your shoes at the wall. Keep it together, take a few deep breaths, and jump on a route you know you can do to build your confidence back up before returning to your new project. Chalk snafus. Some gyms require chalk balls in an effort to keep their facilities clean. But, if we could all just be a little more mindful, it wouldn’t be an issue. Pay attention when you’re walking around, so you don’t knock over someone’s chalk pot. Don’t scoop out a handful, and then sprinkle half of it on the floor as you rub it into your hands. And, don’t forget to cinch your chalk bag shut when you pack your stuff up. Gym Sprawl. Unless you’re at the gym during a quiet time of day, bring only what you need onto the floor. This usually entails your shoes, chalk, and harness. I know it’s nice to check your phone or grab a sip of water in between routes without having to walk back over to the cubbies or locker room. 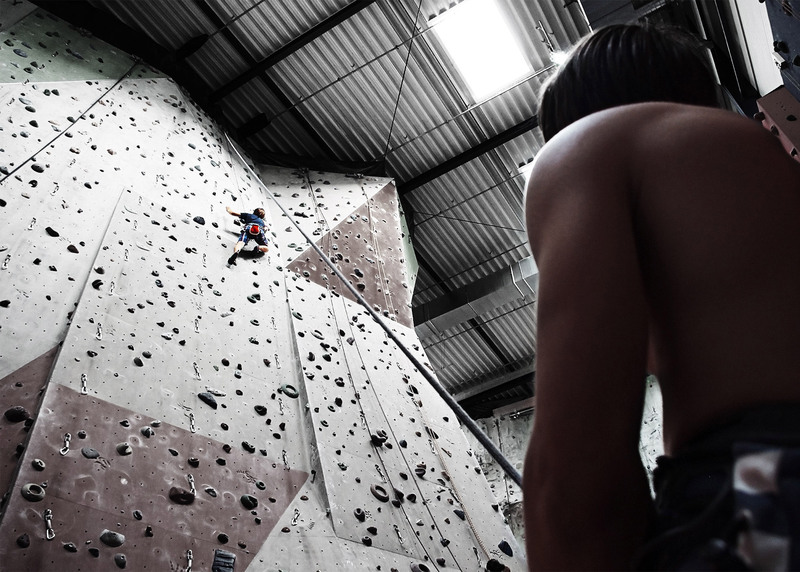 However, if the gym is busy and everyone has their non-essential stuff at the wall, moving from climb to climb becomes an obstacle course—and not a fun one. Plus, if you leave your stuff in a cubby, your chances of leaving something behind or going home with a broken phone because someone stepped on it are a lot lower. Did I miss anything? Share your tips for proper rock gym etiquette in the comments! 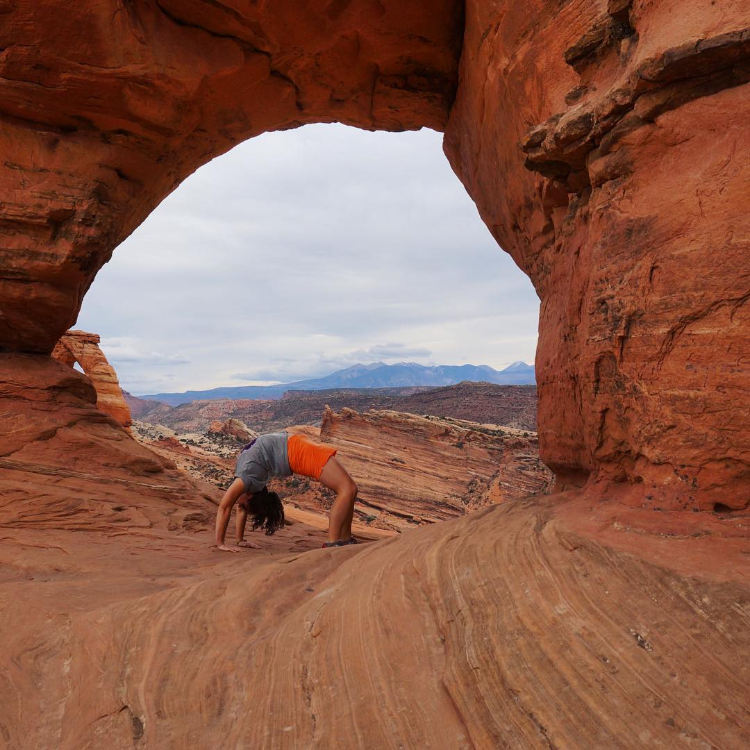 Ashley Peck is a freelance writer, legal assistant, yoga teacher/aficionado, and cat wrestler located in Concord, New Hampshire. When she's not striking a pose on a mountaintop, running, riding a bike, or climbing, Ashley can be found searching for the world's best burrito and trying to be best friends with every animal she meets.